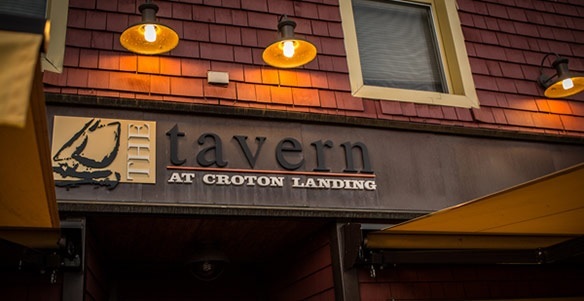 THE TAVERN AT CROTON LANDING – Croton-on-Hudson is open! Come on in and enjoy your favorite specials! Eating at the Tavern is a trip through the classics of tavern cuisine seen from the point of view of restaurateur that grew up on the shore of New Jersey and lived in California enjoying the best ingredients both states have to offer. Only these two places combined could create a lobster BLT finished with arugula, avocado and garlic mayo! The Tavern has been fully recharged by Lynn’s creative energy—you can sense it with a packed house most nights, standing-room-only for Sunday brunch and special events like wine pairing dinners that sell out in hours. 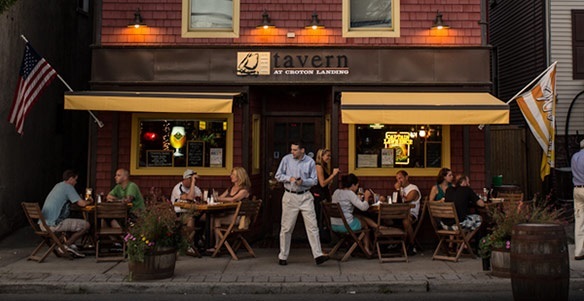 One trip to The Tavern and you’ll see why folks from all over Westchester have made it there “local.” For the most part, they are behaving quite well. Chef Ralph Croteau has raised the bar for tavern menus. 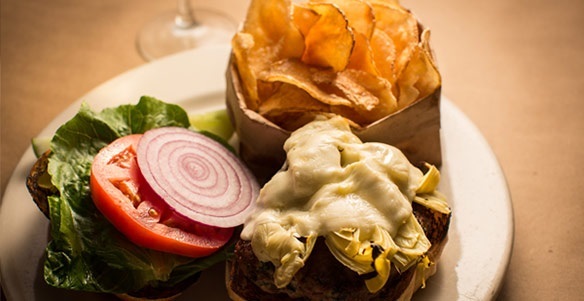 First by sourcing his ingredients from the best purveyors and farmers in the Hudson Valley, then using the ingredients in dishes that take tavern food to new levels of quality and flavor . Burgers are topped with everything from artichoke hearts to sunny-side up eggs, wings are finished with sauces including: spicy Thai , sweet sesame, Jack Daniels–infused or garlic Parmesan and of course Buffalo sauce three ways (mild, medium and hot). Tavern’s Seafood Stew, a favorite of Chef Ralph, is a twist on the classic West Coast cioppino. Blackboard Specials change seasonally and include fresh mussels simmered in lager and served with fries; Greek Calamari Salad, an inspired combination of fried calamari and the traditional Greek salad, crunchy artichoke fritters, served with the Tavern’s own ranch dressing. The Lobster Roll is a perennial favorite at The Tavern, made with fresh, juicy lobster and a subtle crunch of celery and served with a side of homemade chips or fries. 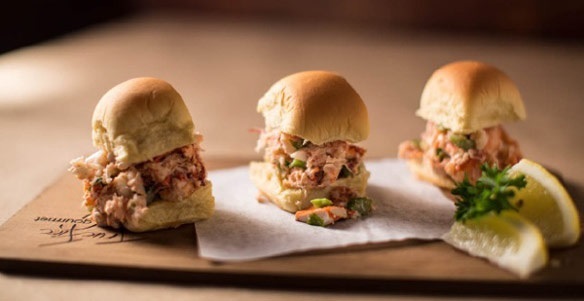 May through mid-October, the lobster roll is offered daily but come Tuesday year-round we sweeten the deal on our favorite sandwich making Tuesday one of the Tavern’s liveliest days at lunchtime. Hit the Tavern early on a Saturday or Sunday and witness The Tavern at its classic, convivial best: a room full of diners, couples and families alike, busily chatting away while Chef Ralph cooks center stage, serving a side of banter with his made-to-order omelets. The Tavern offers all the brunch time faves—pancakes, French toast, omelets—but is equally happy to surprise you with a pizza dressed for breakfast (think scrambled eggs, with bacon and caramelized onion or any number of toppings). The breakfast nachos are quite a treat as well. The Tavern rocks even when there’s no music on, but when there is—look out. Even folks who don’t consider themselves Karaoke enthusiasts seem to find their way down to The Tavern every once in while on the second Saturday of the month. Karaoke DJ Nick Moustakas keeps things hopping from 9pm to about midnight, enough so that it’s become more than a local draw, garnering a Best of Westchester award in 2012 for Best Karaoke. The Tavern’s weekly Jazz & Blues Sunday (2 to 5 pm) featuring guitarist Joe Adami and changing cast of characters that come to play with Joe. The Tavern enjoys a large and loyal following and keeps them coming back by providing exciting culinary events The Tavern hosts periodic wine-pairing dinners where Chef Ralph gets to create a one-night-only menu, working with local mainstay Cortlandt Plaza Wines & Liquor to match each course with just the right vintage. Other themed nights might include an Arthur Avenue–style dinner, an Oktoberfest menu, or a Retro Cocktail Party.